In the moment, quitting your job may seem like the best solution, but walking away from your position could be a big mistake. Here’s how to start 2019 with fresh eyes and attitude. If work has felt like a drag or been stressful these last few months, we feel your pain. The end of the year, and the beginning of a new one, can bring on a heavy workload as projects are wrapped up, and additional responsibilities when fellow team members are on holiday vacations. If you’re feeling burnout (and/or cursing your boss when you leave work and it’s already pitch black outside) it’s tempting to want to chuck your job right out the window. 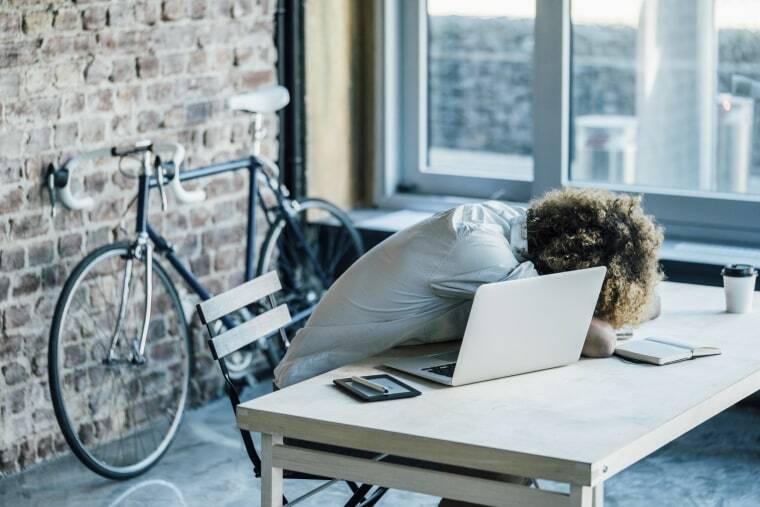 According to new research from staffing firm Randstad, 30 percent of employees are considering leaving their current positions due to burnout, and 41 percent of us believe that leaving a job is the only way to deal with it. It’s not. Folks in the thick of the struggle may hear a common refrain when venting to friends and family: “Just take a vacation.” And that’s something that most (52 percent) work-weary folks try, according to Randstad. But vacations only represent a short-term solution to a bigger problem, explains Jim Link, chief human resources officer for staffing firm Randstad North America. “Plus, when out of office workers return, they'll likely discover a workload that's piled up in their absence,” he says. Employees should start by having an honest conversation with their boss about their long-term career goals, positive aspects of their work performance, and future at the company, Link says. If an employee’s source of burnout comes from feeling overworked, priority number one should be discussing their schedule and workload with upper management and seeing if there’s something that can be done. “Communication is key. The holiday season can be an extremely stressful time of year as workers try to meet every end-of-year deadline, but staying silent if you’re struggling doesn’t help at all,” he says. Employees need to share how they are feeling with upper management for support and to collaboratively work on a solution to prevent further burnout.” Workers need to make it clear to managers when their workload is not realistic before it impacts their performance, and being supported by a team of people — or even just one person — can eliminate many day-to-day bottlenecks that cause stress and burnout. Employees have to ask themselves some tough questions to understand why they’re feeling burned out to help find a solution. Cultivating happiness and satisfaction at work is key to avoiding burnout, Swartz says. “Consider starting a journal for 2019 that lists your professional goals and commit to keeping score of all of your personal victories, no matter how big or small — positive praise from your boss, colleagues or clients, a great idea at a meeting, a big sales win, or a mentee you are helping grow in their career.” Having a designated place to celebrate your success will give you something to lean on when you hit a tough time, she says. It will also give you ammunition to advocate for your professional growth in 2019 — like a raise, promotion or exciting new assignment.